A delicious single estate green tea, high in antioxidants. For 3,000 years the Chinese have praised the health giving properties of pure Green Tea. Clipper’s Organic Green Tea is grown using only natural methods of cultivation and is highly regarded for its delicate flavour and light golden colour. The fine characteristics ensure a delicate, pure and distinctive cup of tea. The organic growing methods ensure the protection of the land, the people that live and work on it and the wildlife, sustaining a balanced, fertile environment. Organically Grown Fairtrade Green Tea. 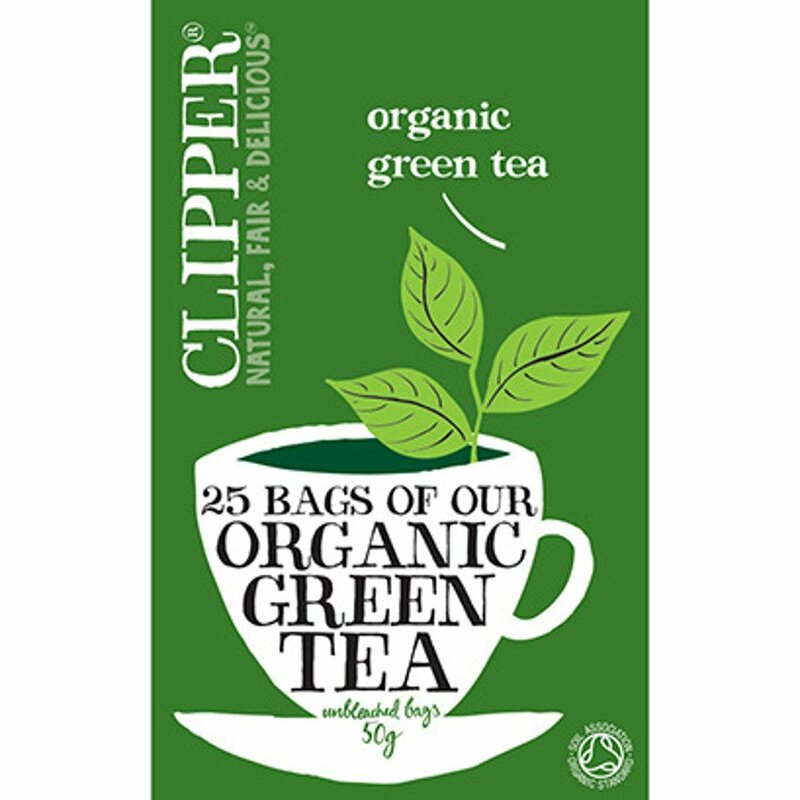 The Clipper Organic Green Tea - 25 Bags product ethics are indicated below. To learn more about these product ethics and to see related products, follow the links below. There are currently no questions to display about Clipper Organic Green Tea - 25 Bags. Clipper was the first company in the world to produce a tea bearing the Fairtrade symbol! They were also among the first to launch a range of organic teas, and the first to produce and market a mainstream organic instant coffee, as well as the first instant, organic and Fairtrade hot chocolate. All of Clipper's products are packed in 100% biodegradable, non-chlorine bleached paper and card from managed, sustained forests. All teabags are made from unbleached paper, so feel free to compost boxes and bags for your organic veggie plot!